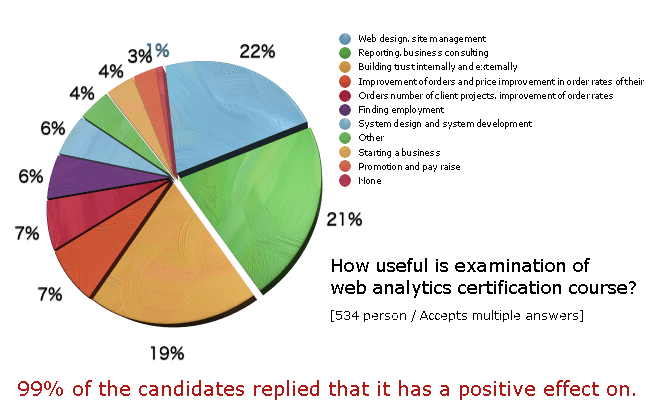 Our “Web Analytics Consultant Certification Course” has been growing steadily (see graph below) while the market for corporate training programs has only grown 2-4% in the last 3 years according to the Yano Economic Research Institute. Leading corporations that have incorporated our program into their training courses have recommended our program for its practicality and result-driven focus. Most training programs are impractical in actual business environments and participants finish with only partial competency levels. Our “Web Analytics Consultant Certification Course” is designed with practicality and results in mind. 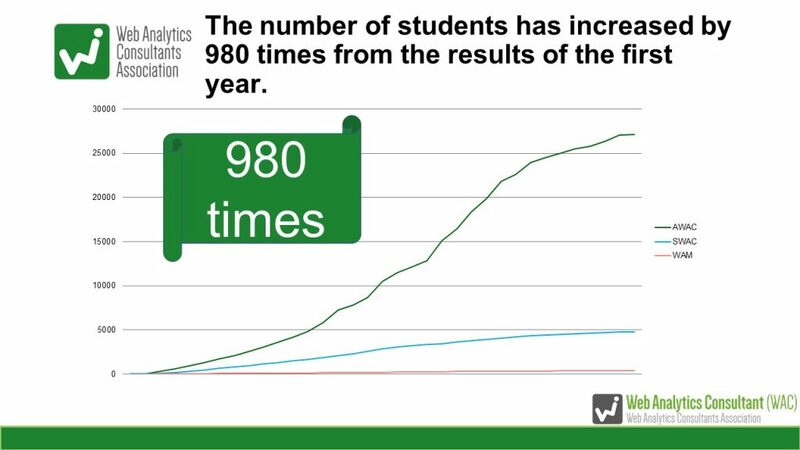 Instructors and textbook are continuously improved to ensure our courses are up to date and effective. The “Web Analytic Consultant Certification Course” was created in 2010 as part of an ongoing commitment to raise the overall level of digital marketing expertise in the industry. The certification course is designed to turn individuals into in-house consultants or independent web marketing professionals. We are widely supported by advertising agencies and online businesses which are increasingly incorporating our courses into their training programs. Our courses are designed to keep the students engaged and motivated. We give students constant feed-back by providing evaluations at every check-point so they can see their progress every step of the way. In addition, our courses combine traditional online courses with little to no interactions with group work that will stimulate conversations between students and allow them to learn through each other. 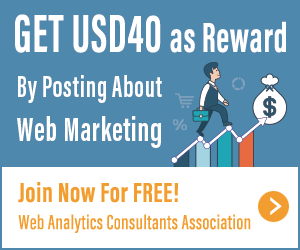 With more than 100 instructors in lead roles as web analytic professionals, the Web Analytics Consultants Association is always current with the latest trends, skills, techniques, and tools in the web marketing industry. Our instructors don’t just read the textbooks; they apply the theories and lessons presented to actual business situations. We have been accepting a large number of employees and participants from the following organizations, amongst others. Contact us today to incorporate our course into your training program today.